The Royale Touch – A blog by Venus Ortega- a certified ROYALISTA! A blog by Venus Ortega- a certified ROYALISTA! Royale is a Filipino-owned corporation established in the year 2006 in Quezon City,Philippines. It is engaged in Marketing of Food Supplements,powdered beverages,Beauty,Skin and personal care products through a unique distribution method providing income opportunity to its distributors and sales force.Royale products are FDA approved and are leading in the industry from its packaging to quality and efficient service. Royale is continually expanding not only in the Philippines but throughout the world.It has headquarters in Dubai,Taipei,Singapore,Doha & Abu Dhabi and Nigeria.And it will continuously grow knowing that many lives have been touched and changed. 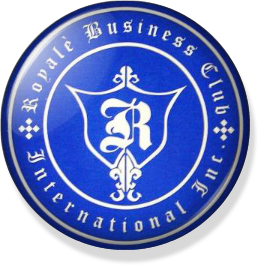 The business model of Royale Business Club International is now the benchmark of Filipino corporations who are planning to expand their operations internationally. In order to achieve such success, it would require not only hard work but also a continuous dedication and a practical understanding of large-scale multinational operations. ” The humble beginning of Royale is rooted from simple dreams and aspirations. It was, indeed, a mere draft, an outline, a business plan. An important question had crossed my mind, “Who really is Royale?.” And I recalled all the faces I first met, the personalities I first knew, the stories I first heard and compared it to the present. The answers I had are DIFFERENCE and GROWTH. This made me further realize that Royale has achieved what seemed to be unconquerable and impossible to others. I am proud that its stint in the business had earned a wide spectrum of capabilities, professionalism, and ethics. I believe that these will serve as our guide as we cast through the winds, burn through the skies, and soar higher than ever. Dear Royalistas, I would like to acknowledge your solid and unsolicited support and resilience making our company a great success. I am grateful for every inch of commitment, hard work, dedication, and faith you are contributing. In lieu of these, the management and I, to the best that we can, assure you the excellent quality and service you truly deserve. We guarantee you continuous improvement on business process and techniques, competitive marketing plan, efficient and reliable IT system, incessant growth of Royale’s vast array of products, and provision of exhilarating Travel Incentives to bring your business experience to new and greater heights. Our passion and knowledge, network, and experience are labours of the Leaders that Royale created since it has started. YOU have become true victory catalysts in the lives of every Filipino who dreamed, pursued, and courageously took a brave step towards success and those whose success is about to be exude. Set and keep the flame ablaze with the vision and core values to which Royale’s triumph is emanating. Let us live in the realm of purpose and realizations through the course of our actions, words, and thoughts as we inspire, grow, and encourage people. Show what it takes to be a Royalista Leader! Hand-in-hand, come and join a journey with us and experience the real adventure of achievement and feat. Royale is setting no boundaries! Royale is keeping the fight! Royale is ROYALIZING the World! Its genuine and globally acclaimed products and services and aggressive expansion and market invasion ensure you a great chance and full potential to live the life of a PROUD ROYALISTA! Singapore, Taiwan, UAE, Philippines, Nigeria. -BUSINESS OPPORTUNITIES, part time or full time at an affordable cost! - Business tutorial and tips on how to run your ROYALE business!! !